A question concerning our offers? Contact us for more information. 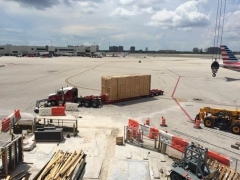 Miami's 1st APM train, comprised of 3 trains, was delivered to the airport at the beginning of September.